For cabinet face frames or picture frames! 2 flute, carbide tipped, 1/2" shank. Give your cabinet doors a professional look. Join frames from 1-1/4" and up. Secure with glue, brads or pocket hole screws. Add a beaded profile to the edges before glue up for a decorative, mitered, beaded corner look to cabinet face frames or multiple opening picture frames. See Edge Beading bits. 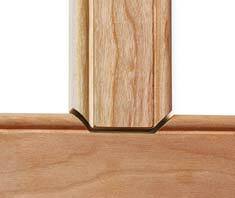 Save $10 - and add a decorative bead to your cabinet face frame or picture frame! 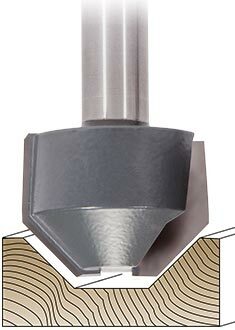 Includes V-Groove Face Frame bit (#7742 - see above) and Edge Beading bit (#7831). Individually $59.95. I love my v-groove beaded frame in conjunction with my rockler finger joint sled for a safer cut;I just need my beaded set up and that's it,it beats blue system brand so easy.